There's a bit of an art to finding things at garage sales, which is why not everyone understands their appeal. It takes some real effort, but the rewards can be equally (if not more) gratifying. If you're still on the fence, here are three reasons garage sales can work for you (yes, you)! 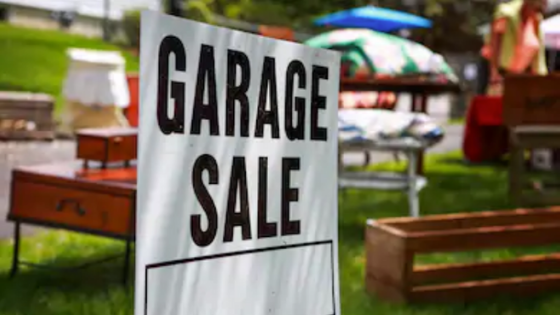 Even more so than clearance racks or consignment shops, garage sales give you the chance to get all those high-ticket items for pennies on the dollar. Even thrift stores have a decent amount of overhead, so get ready to score some major deals at a garage sale. Plus, it gives you a chance to break out your negotiation skills, which you'll need everywhere from your job to your personal relationships. It's exhilarating to find an item you've been steadfastly searching for. It's why garage sales can be a place of intense pleasure when you finally locate something you really need. And while it may feel frustrating at first to go from sale to sale with no results, consider the fact that it's not always easy to find what you need even when you're paying full price. At least this way, you're getting a discount too. Garage sales can actually help you turn a profit if you know the items that people are looking for. Many people host garage sales as a means to get rid of their extra stuff and free up some space. They don't have the time or the energy to take photos, list items online, shop objects, return them if necessary, etc. However, if you have a little bit of time on the weekends, you can turn garage sale shopping into a nice little side hustle. We're sure you can find something to spend your extra cash on. Arlington apartments puts you near some of the most expensive homes in the county, making garage sale shopping a smart move in your area. If you're looking for an apartment that will put you in the heart of the action, consider taking a tour at the Citizen at Shirlington Village. We have the floor plans with the space you need to store your finds.